Get ready to be dazzled. The national tour of ANYTHING GOES, the new Broadway revival of Cole Porter’s timeless classic musical theatre masterpiece, will make its Austin premiere December 9 - 14 (Tuesday – Friday at 8 p.m.; Saturday at 2p.m & 8 p.m.; Sunday at 1 p.m. & 7p.m. at Bass Concert Hall / 2350 Robert Dedman Drive / Austin, TX) as part of the Lexus Broadway in Austin at Texas Performing Arts. It’s a top-tapping, rollicking evening of good fun. The 1934-era musical comedy about the lovers, liars and clowns on a transatlantic cruise is “a daffy, shipshape romp!” - Variety. When the S.S. American heads out to sea, etiquette and convention head out the portholes as two unlikely pairs set off on the course to true love… proving that sometimes destiny needs a little help from a crew of singing sailors, an exotic disguise and some good old-fashioned blackmail. 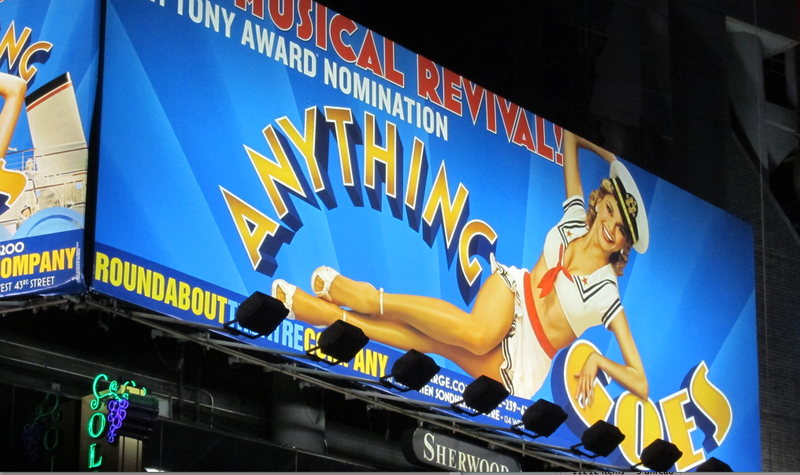 ANYTHING GOES features music and lyrics by Porter; original book by P.G. Wodehouse & Guy Bolton and Howard Lindsay & Russel Crouse; and new book by Timothy Crouse and John Weidman. The creative team includes music direction by Robbie Cowan with additional orchestrations by Bill Elliot, original scenic design by Derek McLane coordinated by James Kronzer, original costumes by Martin Pakledinaz coordinated by Jimm Halliday, lighting design by Anthony Pearson and sound design by David Bullard. The venue, the Texas Performing Arts presents an international season of music, theatre, dance, and conversation in our multiple venues, as well as the best in touring Broadway productions and concert attractions. As a university-based arts center it is also committed to serving the academic mission of the College of Fine Arts by supporting the work of our students, faculty and staff on our stages, classrooms, studios and production shops; and in the educational outreach programs it provides for the Austin community. BROADWAY ACROSS AMERICA is part of the Key Brand Entertainment family of companies that includes Broadway.com and is operated by John Gore (Owner & CEO). BAA is the foremost presenter of first-class touring musicals and plays in North America, operating in 40 markets.